Finally, I’m back. I haven’t posted in a long while because I broke my elbow in late August and had surgery to put four screws in to repair it. That was followed by a bout with some virus that knocked me off my feet for several more weeks. So September and the first part of October were like a blur for me. But nothing was going to keep me from making the trip to Shipshewana. I didn’t care if I had to sit and not sew all weekend, I was going. And, I did. 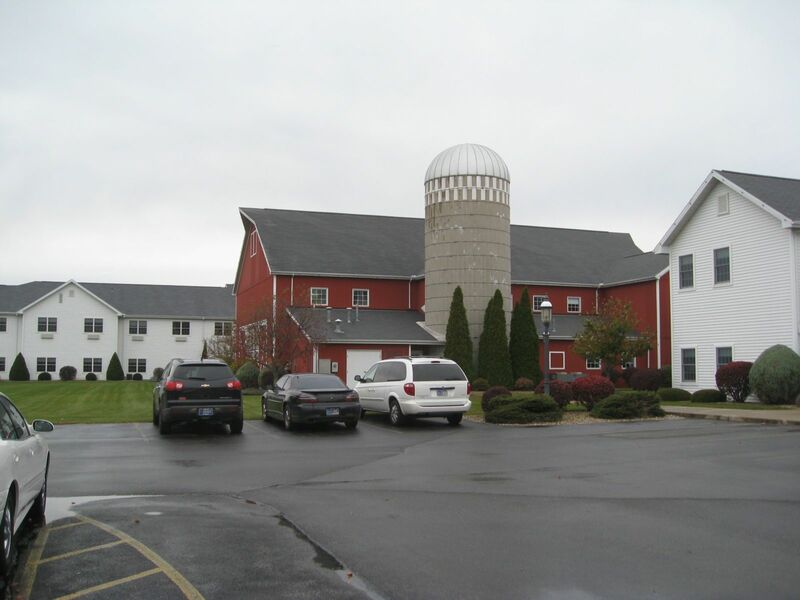 I feel like the last retreater to get a post up about last weekend’s amazing adventure to Shipshewana, IN for Ruthie’s Threads of Mine Retreat. 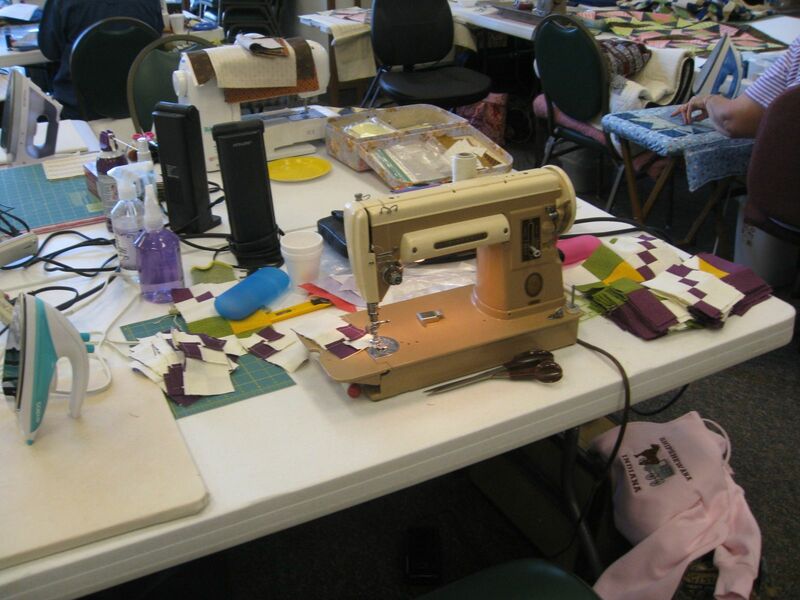 This was my first quilting retreat and I traveled almost 2000 miles to be a part of it. I’m hooked and will be back next year and the year after. Within an hour of signing up for the retreat last year, I met my new BFF who was my roommate at the retreat. I’ll refer to her as MS because she has a very unique name that can be easily located in a search. MS lives near O’Hare so she scooped me up at my hotel Thursday morning and off we went in her van for the three hour trip to Shipshewana. After a couple of wrong turns we got to the hotel by about 12:30. It was strange losing an hour since IN is on Eastern time and Chicago is on Central time and of course I was on Pacific time. We shared a group of four tables with six other ladies, Jennifer, Carol (her mom), Lorelei, and Kathy from Indianapolis, and Judy L and Elaine from MO. We all be came fast friends. I met so many other ladies that were absolutely delightful. Ruthie of course, the organizer, Jill from Ohio, Eleanor who only lives 40 minutes away, and the list could go on and on. I don’t mean to leave anyone out. I’ve posted all my pictures here on Picasa, here. A number of bloggers have already posted about the weekend so I won’t retell what others have already. 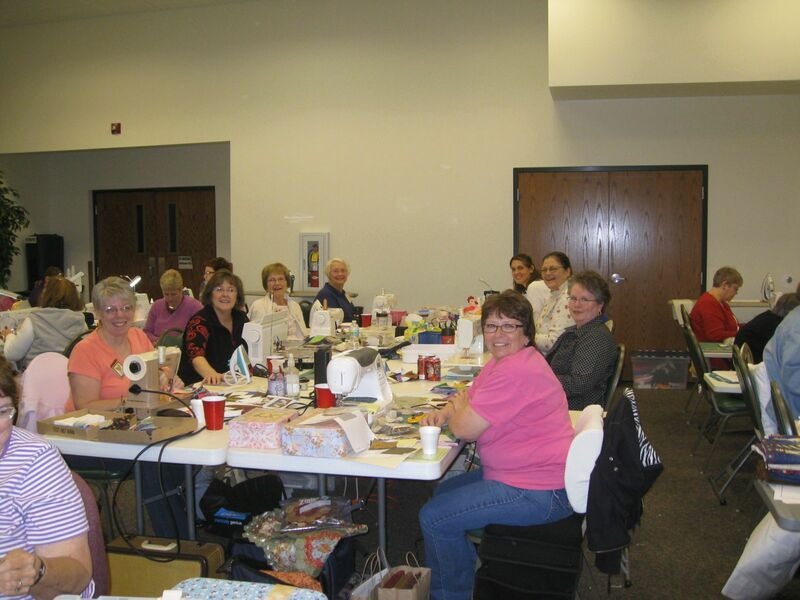 You can read these blogs for more tales of the weekend: Jill Quilts, Judy L, Bonnie, Ruthie, Subee and I’m sure there are others I’m missing right now. The absolute highlight of the weekend was getting to meet Bonnie and Judy L. in person. What a treat to have both ladies in the same room. Better yet, Judy sat right across from me and was generous enough to bring a machine for me to use so I wouldn’t have to lug mine on the airplane. THANKS AGAIN JUDY. Bonnie and her friends were directly behind me. I wasn’t the only one from California. Bonnie’s friend Randi flew in from Santa Cruz as well. 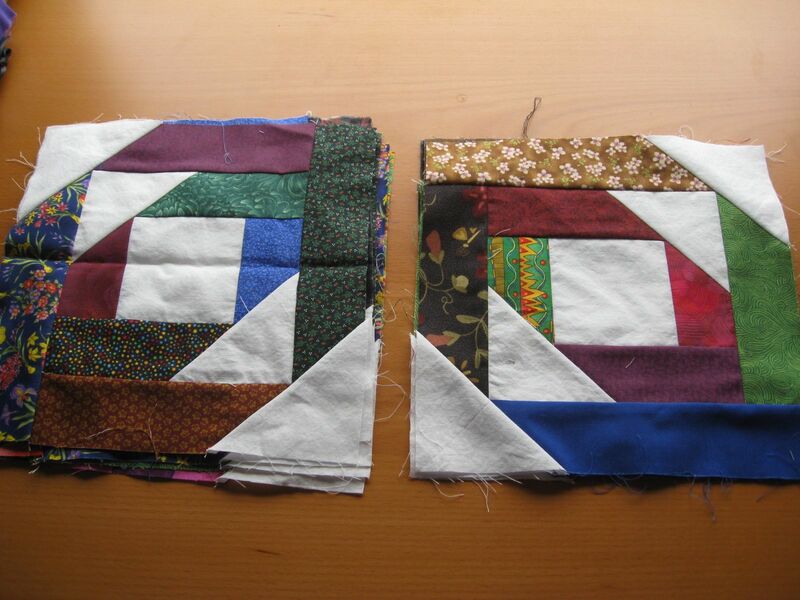 I had Judy’s mystery quilt all cut out and ready to sew. I started Thursday afternoon and put the last stitch in the top on Saturday about 11:00 am. (Can’t show a picture here because the Retreat mystery is currently being revealed on Judy’s blog for those who didn’t attend the retreat.) Why did it take so long you ask? Well, there were two trips to Lolly’s and Yoder’s and three meals at the Blue Gate to squeeze in between. Plus all the talking, laughing and general frivolity involved when you get 50 or so women together. It seemed like every few minutes someone had a new finished quilt or top to show and tell. So of course we had to stop to oooh and aaaah and take pics. After I finished the mystery top, I started on Bonnie’s Pineapple Blossom blocks that I had all pre-cut and ready to sew. I was rushing to get a few done so I could get a picture of them with Bonnie. And, what did I do??? I didn’t ready her instructions closely enough. So when I presented her with 8 finished blocks, Bonnie very kindly pointed out that five were wrong. Talk about red on my face. See I read the instructions up to the second round of strips. That’s where I stopped and didn’t pay attention to the order I was adding the strips. Bonnie explained it would only become apparent if I tried to put the blocks together like a star rather than using sashing and cornerstones. So, those five blocks will now go on the back of my quilt and I learned a lesson I should have already known: READ TWICE and SEW ONCE! The blocks on the left are incorrect; on the right, correctly made. I managed to buy enough fabric in Ship-Shop-Shewana (it’s new nickname) that my suitcase was five pounds overweight when I got to the airport. Not to worry. I had a tote bag all ready just in case. I just pulled out five pounds of fabric to carry on and was on my way. Here’s a pic of my purchases. Mostly Moda’s Breath of Avignon and Kansas Troubles End of Summer. But I also slipped in an Asian Jelly Roll with matching border and binding fabric found at Lolly’s. I already have the pattern that was made up at the store, so I couldn’t resist. MS bought this one too. And, then I had to buy some of my favorite blenders Fusions 5573 at Yoder’s at $7.96 a yard. My stash report is not going to look so good tomorrow. I’m off to unpack my suitcase that remains on the floor of my bedroom even now after being home six days. 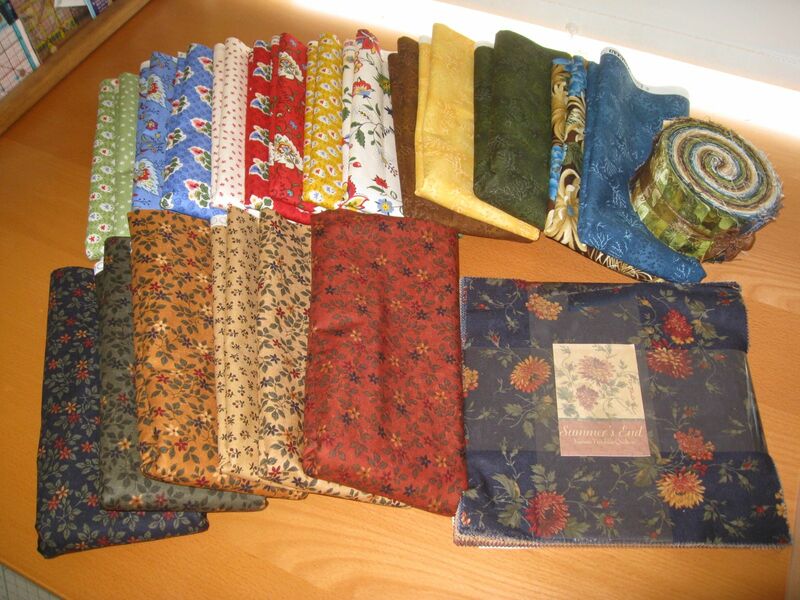 And, of course, to count how many yards of fabric I purchased for my stash report. It was such a great time. So sorry that it ended so quickly! Wonderful to meet you and I can’t wait for next year!